This is a proud moment for us! Josh has invested an unbelievable amount of time and effort into this DVD set and the result is absolutely phenomenal. It is, we're pleased to say, a DVD experience with the power to transform your magic and affect the way you think about our art. 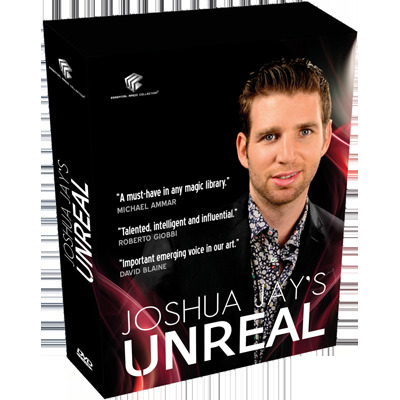 Josh's material is interesting, emotive, diverse and engaging and it is now here for you to learn. As well as the excellent magic, there are multiple interviews with Josh as well as some great extras which you may not expect to find. Luis and his team have done an amazing job with producing this set and the end product is truly 'unreal'. 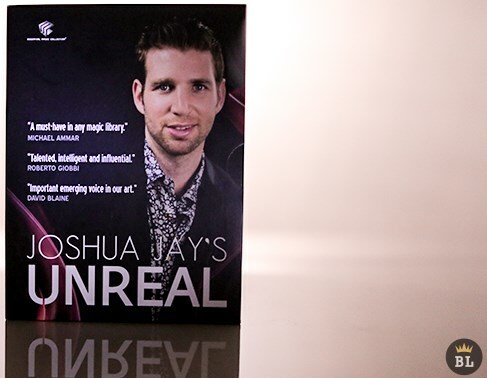 BONUS: This is the ONLY place you can buy UNREAL autographed by Joshua Jay. Josh is a performer, writer and creator. In Unreal he performs and explains some of his finest effects. Practical, tried and tested routines that amaze audiences and confound magicians. The album also includes his professional theatre show recorded at the San Bernardo Theatre in Coimbra, Portugal. For the first time you'll see how Joshua puts together a full evening show. Advice, performance and explanations from one of magic's greatest teachers. UNREAL is an English language production. 4 DVD Set. Subtitled in 4 languages: English, Spanish, French and Japanese. Shot in HD in Portugal by Luis de Matos Productions. I was so excited to get this dvd set and I can say that he absolutely delivered! It is worth every penny. I was first introduced to Joshua Jay's work when I purchased a live lecture download from another website (it, too, is outstanding). After that I have got my hands on everything I could afford that he has produced. This dvd series stands out not only because of the excellent magic but in so many subtle ways: the video quality, sequencing within and between dvds, the diversity of material, interviews (don't blow these off; there's a lot of good stuff), and the explanations make this a really good investment. Another aspect that I appreciate is that there are excellent effects for literally every level of learner. Even the ones without sleights are really well-thought out and great effects. For those that like to tinker, so many of these effects/concepts lend themselves to inventing tricks of your own; I already have several ideas that I plan on fleshing out based on some of his methods/concepts/sleights/utilities. Finally, something that I have come to greatly appreciate is the thought that he puts into the fine details of getting in and out of effects (very cleanly) and the flow of one to another. Thank you so much! 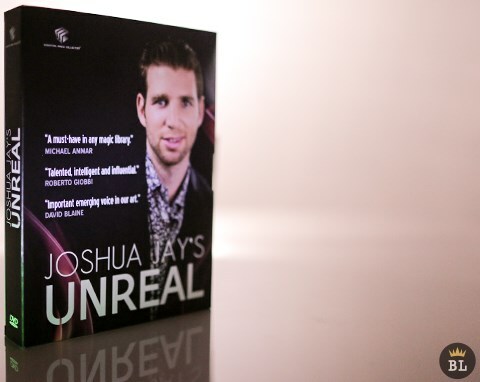 Unreal provides a close look at Joshua Jay’s magic. It includes everything from a full evening show to stand-alone effects and projects. 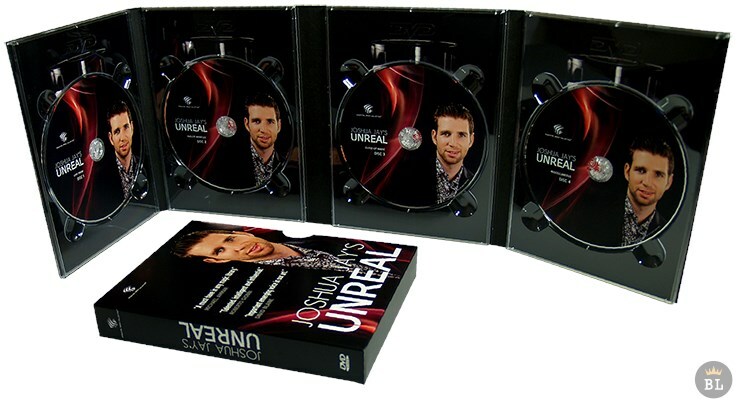 These DVDs are full of ideas and lessons for those serious about magic as a profession, as well as for those who are just looking to learn a few quick effects. Recommended. They say laypeople care about the person before they like the magician. They say you must pick the method that has the strongest impact on the audience. They say always learn from the best. I say Joshua Jays lives up to his fame both as a performer and a teacher of magic. A wonderful dvd set! Full of amazing magic and even better thoughts and insight! Great job Josh! Unreal is the real deal! Love it! Joshua Jay is an amazing teacher and performer. The magic he performs is practical and just mind blowing. Unreal is a great investment to make and I would recommend this to any one. Possibly the best single purchase i have ever made. I keep just a couple of cards in my wallet for an O&W, and i use 2 of the 3 phases he teaches (the 1st and 3rd phase). In the first phase reds cards are openly weaved with black and yet with no moves un-mix. and in the third phase you get a EXTREMELY visual moment that you dont often see in O&W and its a great way to end the routine! What a cool idea, this is such a visual triumph! I guarantee you will LOVE this. Jay Sankeys presentation combined with a really stunning method/handling. This is a self working mental miracle that will really have your spectators stunned. There is just no possible way a certain thing can happen and yet it does! STILL though i never planned on using this... I had some friends over the next night and they wanted to see some stuff! I wasnt feeling super up to it (long day) so i grabbed some a deck ready to do some selfworking stuff and just happened to grab this. They were floored! This is the subtlest use of eqivoque i have personally ever seen, It WILL go over your head. i was floored by this and it packs SO small! In Jeff Mcbride manner i have a Glasses Case with a "commando show" and Inferno is my closer in that set!